1919: Nebraska and Minnesota schedule what would turn out to be the only game between the schools in an 18-season span. 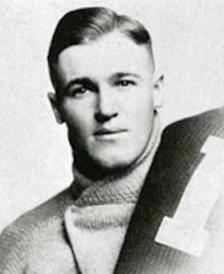 1929: The Cornhuskers open their second week of spring practice as they await the arrival of new coach Dana X. Bible. 1944: Coach A.J. Lewandowski announces that spring practice will start April 5, with a summer session from mid-July to mid-August to follow. 1949: Bill Glassford's Huskers toil in the wind, rain and mud for two hours in a Saturday scrimmage. 1954: Halfback Don Comstock stars as the Whites surprise the Reds in the spring game. 1964: The Nebraska-Minnesota game is selected for an NBC national broadcast. It is one of only four games involving Big Eight schools to be chosen for regional or national telecasts. 2004: The first practice under new coach Bill Callahan takes place at Memorial Stadium. 2009: Spring practices begin with all eyes on the competition to replace Joe Ganz at quarterback. 2014: Ndamukong is No. 3 in a ranking of Big 12 players of the BCS era.